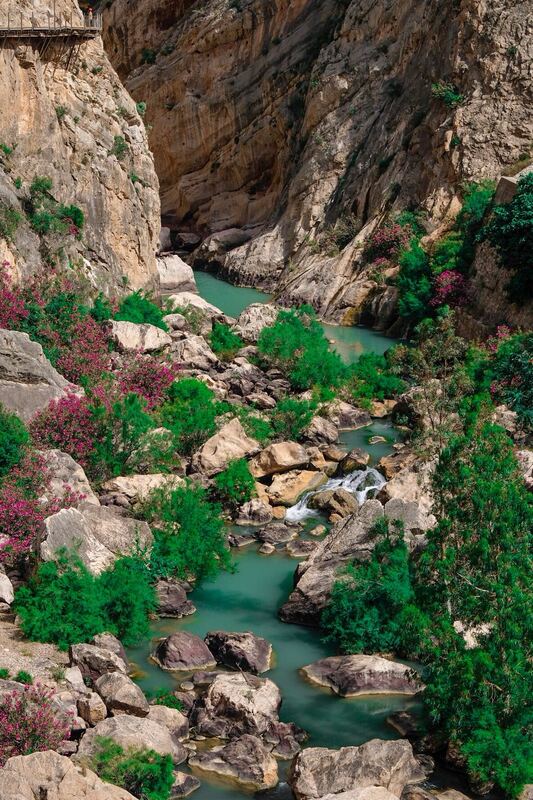 While doing a Spanish course in Malaga, you have the huge opportunity to visit the Caminito del Rey. 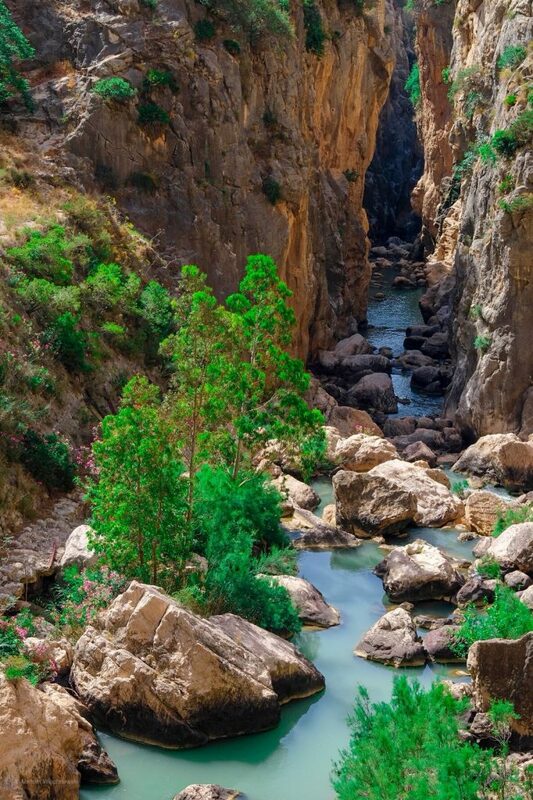 The Caminito del Rey, is today one of the most extraordinary tourist attractions in total Spain. 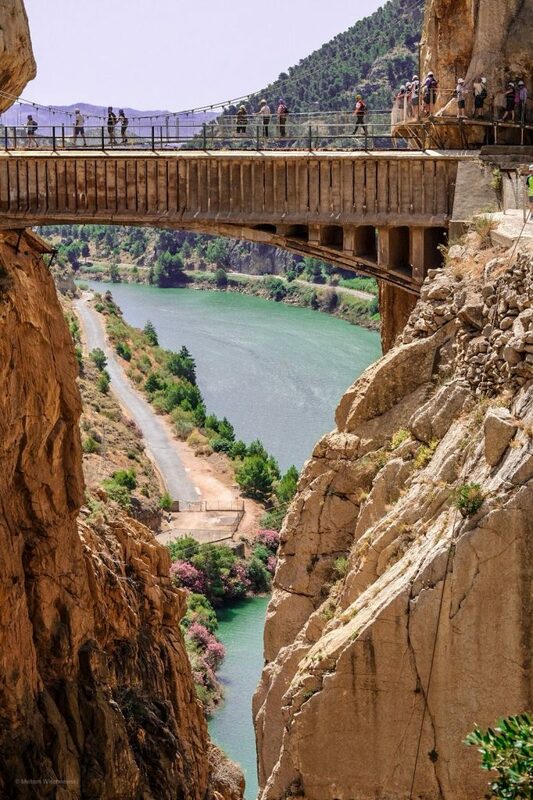 The Caminito del Rey was built in the years 1901 until 1905. The path was earlier used to transport stuff and people between a small damn at the beginning of a water tunnel in Gaitanejo and a hydrielectric power panel in “el chorro”. But there was a long time the way wasn’t inaugurated by the Rey. The time went by, and finally by the 1920s the time came where King Alfonso XIII inaugurated it himself and in addition gave him the name it has until today. Since that time, the way became one of the most beautiful wonders of Spain. As the way was in the past very dangerous, the city as well as the government decided to build a new way above the old one especially for the tourists and natives. Therefore, it´s possible today to visit and experience this little, but breathtaking history of Spain. The “Garganta del Chorro” is a really amazing place as it consits of huge rock walls, that are up to 400m high and stretch along 3km. Therefore, the difference in height between the two reservoirs was a huge chance to develop hydroelectric power. For that time a revolutionary concept. The reason why it has become so popular is not just the breathtaking view, but the way it is built. The way is along those huge rock walls. It is said that the original way with the original structure was built by sailors, as they were used to climbing ropes and working while hanging over the void. Some data suggest that those who were condemned to death, had carrried out the most dangerous tasks of the construction. In the first place the way was constructed only with sand and cement supported by metal. The little railing was out of iron but it was less then secure. Over the years the way started to fell apart little by little. In 2009 it was then completely closed, after many people lost their lives. For many people that real danger of the way became a huge attraction. For example, climbers who love the risk of height and to climb upon the huge rock walls. They referred to the way as “the most dangerous way in the world”. For the Government it has become a huge project. In 2013 the plans of the Government to renovate the way, where going to be installed. The Government approved a budget of 2.5 million € for the renovation of the Caminito del Rey, in order to became a huge tourist attraction. In the end, the local authorities and Malaga shared the total cost of the renovation of 5.5 million €, of which 2.2 million € were used to instal the new construction of the Camino. 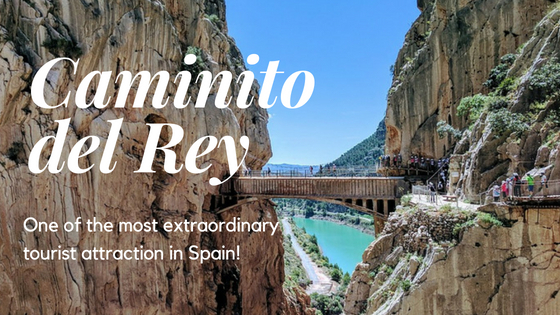 If you have the possibility to visit the Caminito del Rey while staying here in Malaga for example doing a Spanish course, you should definitely do it as it is an amazing and breathtaking experience. Hello Julia, I heard you have been to the Caminito del Rey the other week, while making a Spanish course in our school. How did you like the Caminto del Rey? I did really like this excursion to the Caminito del Rey. The view was amazing and it was really interesting to walk such a way. I have never seen before a way like this. At the beginning I didn’t really had expectations at all. I did saw a few photos of it before and knew that it has to be really beautiful. But when I was there walking it and saw it in person I was fascinated. I have never experienced Spain from this side. Do you have any tips for other students who would like to go there? Like how much water or food they should bring and as well some tips for the clothes to wear? When going to the Caminito del Rey, it is very important bringing a lot of water, as in the summer you will normally walk in the sun for at least 2 hours and it gets hot, so your body will need it. Also there are 2 little breaks to eat something, so bringing food is also a good idea. For people who should be carefull with there skin, should were sunbreaker. As you have to put on a helmet, your head is at least a little bit protected from the sun. As you are walking and hiking I recommend to wear comfortable clothes. Would you recommend that avticity for other students? Yeah, defintely. It is a part of the Andalusien and therefore Spanish history and for me it was really nice to do an activity that is different from the normal tourist activties. It’s defintely worth a visit.